We pride ourselves in our quality product lines. We offer hundreds of kites and accessories ranging from entry-level single-line kites for children and families to highly sophisticated flying wonders for the kite enthusiasts. Sometimes big fun comes in small packages. That's the case with our Fun Flyers! You can take them outside to fly on a breezy day or use them as indoor decorations. Either way, you're sure to put a smile on someone's face when you give them the gift of flight with a Premier Fun Flyer. 25" Diamonds are some of our most popular kites. Framed with indestructible fiberglass, they are durable and easy to fly. People love their appeal beyond the trip to the beach, park, or play ground: both as birthday gifts and as home decorations. Check out the themes on our 30" back-cut applique diamonds! Whimsical graphics and ageless appeal make diamond kites perennial best sellers. A traditional favorite for all ages, our 30" Diamonds look as great for home decoration as they do in the sky. Our 65" Diamond Kites are based on the tried-and-true Malay platform. They feature unique Velcro tensioning on all corners to ensure perfect sail tautness on every setup. Borealis Diamonds are the finest production diamond kites in the world. Strutted with Sky Shark tubular wrapped carbon and boasting scalloped edges and bead & nock style fastening, these tight sails will fly on a whisper of wind. Both beginners and masters will be pleased at the compact packaging, light weight and easy assembly. These high angle fliers sport some of the finest contemporary graphics on a kite to date.orealis Diamonds are the finest production diamond kites in the world. Strutted with Sky Shark tubular wrapped carbon and boasting scalloped edges and bead & nock style fastening, these tight sails will fly on a whisper of wind. Both beginners and masters will be pleased at the compact packaging, light weight and easy assembly. These high angle fliers sport some of the finest contemporary graphics on a kite to date. You'll feel like the "King of the Wind" with these incredibly stable and easy-to-fly Flo-Tail Delta Kites. It's a breeze to launch them in wind as light as 4 mph and they fly rock solid in winds up to 20 mph. Complete with color-coordinated wing-tip tails. Sky Deltas look magnificent in the air and fly on a very stable platform. Check out our huge selection of 56" Deltas. The kite of choice for many first time flyers, our deltas are easy to fly and have the ability to stay aloft in a broad range of wind conditions. Because deltas require so few struts, they are a cinch to assemble and break down. And with one tail loop, deltas are perfect for accessorizing with a variety of graceful tails to make each flyer's experience unique. You'll feel like the "King of the Wind" with these incredibly stable and very easy-to-fly X-Delta kites. It's a breeze to launch them in wind as light as 4 mph and they fly rock solid in winds up to 20 mph. We designed this kite for the flyer who wants zero percent frustration and one hundred percent fun! Simple assembly and no-hassle flying make these beauties the easiest kites to fly. With many designs to choose from, you're sure to find just the right Premier Easy Flyer to amuse the young and the young at heart. 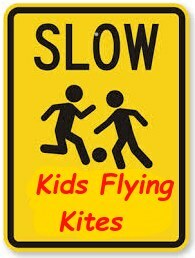 Everyone tells us that their favorite kite to fly is the Easy Flyer. Premier proudly carries an even larger jumbo version of this popular kite. Bold and refreshing colors with beautiful banner tails compliment these wonderful Jumbo Easy Flyers. True classics never go out of style and few designs have withstood the test of time like traditional Box Delta Kites. For simplicity and elegance, nothing beats them! Premier offers a wide variety of Box Delta Kites that are rock-solid flyers, especially in higher winds. True classics never go out of style and few designs have withstood the test of time like traditional Box Kites. For simplicity and elegance, nothing beats them! Premier offers a wide variety of Box Kites that are rock-solid flyers, especially in higher winds. True classics never go out of style and few designs have withstood the test of time like traditional Cellular Kites. For simplicity and elegance, nothing beats them! Premier offers a wide variety of Cellular Kites that are rock-solid flyers, especially in higher winds. These sleek Sled Kites incorporate multiple chambers for wide wind range and increased lift. If you like the Power Sled 10, be sure to check out our Large, Jumbo, and Mega Power Sleds in our unique Collections! Beaches and kites are synonymous, and no one offers a wider selction of flying Sea Life than Premier. From traditional Shark kites to Rays, and Octopi, Premier Sea Life kites are the best flying beach kites available! From the whimsical imagination of the Hespeler Brothers comes yet another fun flying kite. The Penta Series depicts humorous flying objects on an extremely stable platform. These Octopus Kites shout "on to the sky!" as their colorful tails dance and delight children of all ages. These kites are perfect for first time flyers. No assembly needed; just attach line and add a breezy day for a whole lot of fun. Fabulous back-cut Dragon Kites are stable, easy to launch and easy to fly. With these spectacular kites, you can stake a colorful claim to your place in the sky. Our Biplane & Triplane kites are very easy to assemble. They look beautiful and fly great. Based on the real aircraft with all the authentic marking. They even have spinning props and you don't have to have Grandpa help you put​ them together. Easily assembled under 3 minutes by kids or Dad. Customers love Rokakus for their excellent flying performance and spectacular graphics. As easy to fly as deltas, these kites are framed with durable hollow fiberglass and come with line and a case. 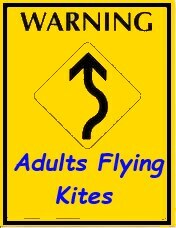 Beginner and Intermediate Sport Kite flyers need one thing and one thing only - an enjoyable experience. Premier delivers a variety of entry level and intermediate dual-line Sport Kites that offer the joy of flying in abundance. Both attractive and durable, Premier Sport Kites look great and fly great time after time! The sleek ram-air design of Power Kites incorporates multiple chambers for a wide wind range and increased lift. These kites excel at lifting multiple line accessories and spin devices. Never get caught on the flying field without the right line set for your kite. Premier offers a wide array of high quality Dacron line, in a wide range of lengths and weights, and on a variety of winders. From D-handles to Yo-Yos, Premier has what you need to keep you flying. Add eye-catching color and fun to your line with Premier's Line Laundry which includes F-Stops, Hypno Twisters, Turbines, Poppers and more. These entertaining Wind Wands work well at parades, kite festivals and are great party favors. Made from durable rip-stop nylon, these windsocks and spinners are colorful and popular. Put them on decks, porches, or just hold them in your hand! Freestyle Flyers are fun, safe and easy to fly. With three different sizes to choose from, they're plenty of fun for the whole family! The wildest and wackiest toy has finally arrived! You can throw it! You can catch it! You can wear it?!! That's right, the Forehead Flyer can be worn as an outrageous head dress for loads of fun. Mini Deltas are easy to fly small kites that kids and adults of any age will enjoy! The Sling Glider and Jet Glider have so many fun, unique designs and are ready to spring into action! Both the winds and the body of the Snap Wing Glider fold into a sleek shape for launch. After shooting high into the air, the glider snaps open and gently flies to the ground. Based on the folding nature of bat wings, the Catapult Glider takes on a sleek rocket shape as it slingshots to the sky. Here are some examples of kites from each description on right.